Bivalves have proved to be useful bioindicators for environmental pollution. In the present study, mussels (Mytilus galloprovincialis), cockles (Cerastoderma edule), and razor shells (Solen marginatus) were collected in the Ebro Delta, an extensive area devoted to rice farming and affected by pesticide pollution, from April to July, the heaviest rice field treatment period. Possible effects of pollution were assessed through biochemical markers (carboxylesterase (CE), antioxidant and neurotoxicity-related enzymes, and lipid peroxidation levels). Data on environmental variables, bivalve reproductive condition, and presence of organic pollutants, marine phycotoxins, pathogens, or histopathological conditions in bivalve’s tissues were also evaluated. Although the bioaccumulated pesticides did not explain the patterns observed for biochemical responses, the obtained results point to an effect of environmental pesticide pollution on enzymatic markers, with a prominent contribution of CE to such changes. 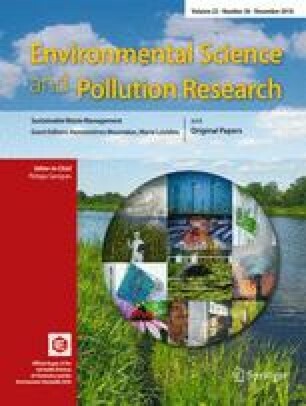 Mussels and razor shells provided a more sensitive biochemical response to pollution than cockles. Environmental variables, bivalve reproductive condition, and marine phycotoxins did not seem to have a relevant effect on the biomarkers assessed. The online version of this article ( https://doi.org/10.1007/s11356-018-3614-6) contains supplementary material, which is available to authorized users. This work was financed by the Spanish Ministry of Economy, Industry and Competitiveness project AIMCOST (ref CGL2016-76332-R MINECO/FEDER/UE). It was also partially supported by the projects XENOMETABOLOMIC (ref CTM2015-73179-JIN AEI/FEDER/UE) and EMERGER (ref E-RTA2015-00004-00-00 INIA). The authors acknowledge the Departament d’Agricultura, Ramaderia, Pesca i Alimentació (DARP) through the Monitoring Unit Program. We also appreciate the support of the CERCA program of the Generalitat de Catalunya.